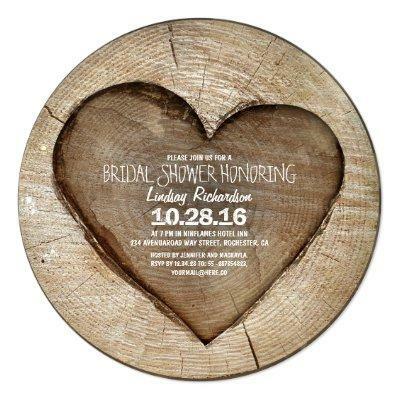 Unique rustic country bridal shower invitation with carved tree wooden love heart designed on the circle shape invitation. Both sides of the invitation have this sharp old wood texture, it is a photo done in the old barn house. Perfect invite for rustic bridal shower !